Ecuador stands out for extraordinary amount of biodiversity in contains in such a small country, and for being one of Latin America’s hot spots for expat investors and retirees. Another country in my continuing comparison of Costa Rica versus other retirement destinations. Ecuador has a low cost of living. For example, it’s among the very cheapest places in the world for buying groceries, and hiring a personal fulltime cook/housekeeper costs just $30 per week. It’s quite possible to live comfortably in Ecuador on $1200 - $1700 a year. The property market is favorable as well. Renting an furnished apartment can cost as little as $300 a month, or around $600 for a house. Property prices vary, but the capital of Quito is currently pegged at the best place to buy, with homes in the old colonial center selling in the $30,000 - $50,000 range. Apartments in Cuenca, a popular expat destination, go for about $75,000. One of the most convenient things about Ecuador for Americans is that it uses United States currency, so you avoid currency conversion hassles. It’s like taking your money back in time to when a couple of greenbacks could buy a decent lunch. It’s worth noting that prices in major tourist centers will be more akin to what they are in the States, but this is not the case for most of the country. But in Ecuador you get what you pay for. Much of the country is pretty third world and don't expect your property there to appreciate, more likely hope it will retain its value. Supply exceeds demand in Ecuador and prices reflect that situation. Ecuador is still a developing nation, so it’s probably best to visit first before deciding to move there, to get a feel for whether or not you are comfortable with that lifestyle. It’s been a democracy since 1979 but has been politically volatile recently, as was demonstrated in September 2010 when the president was kidnapped by renegade police officers and quickly rescued. Quito is at an altitude of 11,000 feet above sea level and many find themselves overcome with altitude sickness without a bit of conditioning. Flying commercial aircraft into Quito is challenging and Quito has had a few major accidents in the past 10 years. Still, this is a beautiful country, home to the Andes Mountains and the Galapagos Islands, with a laid-back pace of life and friendly locals. Barring disaster, it seems quite plausible that Ecuador’s star will continue to rise as a retirement destination. Cuenca, with its college town atmosphere and UNESCO heritage site flavor is a picturesque town with much to offer expats. The city is bustling with activity and has a kind of bohemian flavor. Ecuador appropriately enough, sits roughly in the middle of the ecuator, on the coast of the Pacific Ocean. It comprises three main geographical regions: "La Costa," the low-lying area of the Pacifc coast; "La Sierra," the central highlands dominated by the Andes, and "El Oriente," the eastern half of the country, mostly made up of the Amazon rainforest. The climate varies depending on altitude: mild in the valleys, temperate and dry in the Andean highlands, very rainy and tropical on the coast. 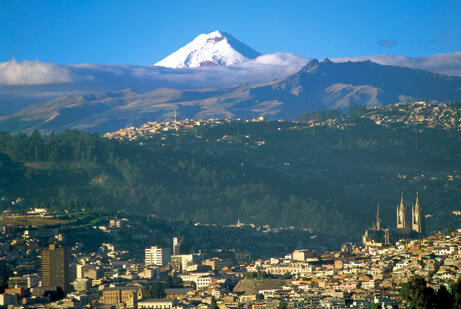 Ecuador’s population was 13,927,650 in 2008 and is estimated to be 15,144,000 by 2015. Most people speak Spanish, which is the official language. In terms of crime, the rate of intentional homicides is 19 per 100,000 people. Ecuador uses American currency. This can be both good and bad. It's convenient but could spell trouble as the dollar continues to lose value internationally. Median price for an apartment in Quito city centre: $981 per square meter. Ecuador has some political, social and economic risk not found in most other Latin American countries but for those who don't have much to lose, Ecuador is a great bargain. The northern Pacific coastal areas around Manta, Bahia and further north have recently become more accessible from the new road from Quito. 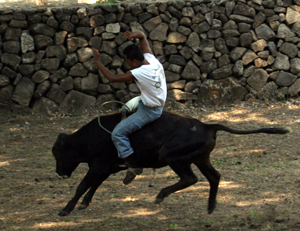 If you happen to be in Costa Rica at the right time of year, a fun thing to do is going to the many rodeos, horse demonstrations or “bull fights”. Horses are almost a national symbol in Costa Rica and always a cause for a celebration. Rodeos are staged throughout the country and many small towns have their own rodeo or bull ring. There are also some portable ones and even a circuit of professional riders that tour around and appear at shows.